Q&A with Frank Viola: Does the Church care about the poor? In your opinion, is the Church doing an adequate job of responding to the problem of poverty? I think some churches are, and some aren’t. Equally so, I think that some Christians are, while some aren’t. Generally speaking, do Christians in American care about the poor, needy and oppressed? Should they? I think they certainly should, as this is one of the Magna Cartas of the Church of Jesus Christ as she continues the ministry of Jesus on earth (Luke 4:18–19). Scripture, both Old Testament and New Testament, make clear that this is very much on God’s heart. Perhaps the man to ask regarding if Christians in America care about the poor, needy and oppressed is George Barna, since he’s an expert in crunching numbers like that. The believers and churches that I associate with certainly do, but I can’t speak for the rest of the Christian world. 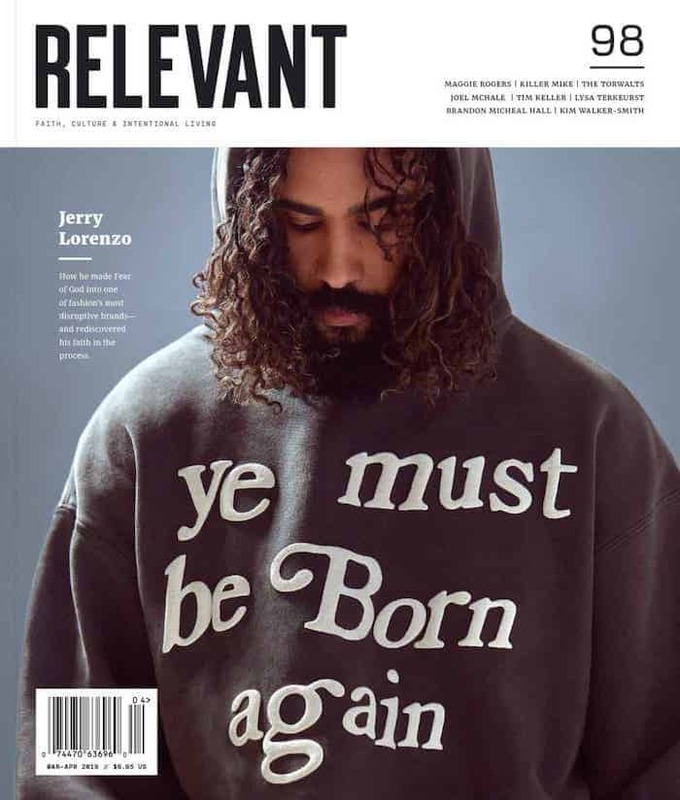 In Pagan Christianity , you and George Barna talk about what Christian “revolutionaries” are doing to spread the message of Jesus in a seemingly unconventional yet effective way. Does this include ministering to the poor—the widows, orphans and beggars of the world? Absolutely. We dedicate several chapters to exposing the huge overhead costs of religious (“church”) buildings and clergy salaries. For instance, we point out that Christians in America spend over $10 billion a year on church buildings. And in the United States alone, real estate owned by institutional churches is worth over $230 billion. For the first 300 years of its existence, the Christian Church did just fine turning the Roman Empire on its ear without the help—or hindrance—of church buildings. Just think about how much God’s people could help the poor, the needy and the oppressed if all the money we pour into church buildings (let alone clergy salaries) was redirected to help them. For that reason, the organic churches I’ve worked with and been a part of over the last 20 years have helped the poor and needy in some incredible ways. Are institutional churches more or less generous in their giving to the needy than house churches or “simple” fellowships? I can’t answer that question across the board, as I’ve never done a study on it. What I can tell you is that the last institutional church I attended was one of the largest in the state of Florida. It was incredibly wealthy. I was good friends with a family who attended there. They were very poor. I have a vivid memory of sitting in my friend’s home with his wife and four children. We all sat in the living room in the dark with a flashlight and some candles. The reason? They couldn’t meet their electric bill that month, so the power had been turned off. That wealthy church (the one we all belonged to) didn’t give this man a red cent. At the time, I thought that was outrageous. Funny thing … I still do. I realize that some institutional churches help the poor and needy a great deal. But the advantage of an organic house church that’s centered on Jesus Christ is that it’s essentially a face-to-face community. Therefore, it has the opportunity to model what the Kingdom of God is all about. Peace, justice, care for the less fortunate and the oppressed is not something individual Christians do by throwing money into a plate or sending it through an envelope. It’s modeled in the daily life of the Church itself. The local church becomes a tangible outpost of the Kingdom in living color. Those who visit her see a visible expression of how the upside-down Kingdom of God works. I give many real-life examples of this in my new book, Reimagining Church . In Pagan Christianity , you and Barna posit that “almost everything that is done in our contemporary churches has no basis in the Bible.” How is the giving of offerings to the poor and any other kind of benevolence ministry in contemporary churches unbiblical? We do not target the giving of offerings to the poor in our book, as we feel this is quite biblical. We instead target the obscene amount of money Christians spend on religious buildings and on clergy salaries … both of which we argue cannot be sustained by the teachings of Jesus and the apostles. Note that clergy salaries and helping those who travel and preach the Gospel are two very different things. We unfold this difference in the book. How can the Church return what James calls “pure and undefiled religion,” which is caring for widows and orphans in their times of distress (1:27)? I think one sure way is for Christians to discover how to live by the indwelling life of Christ together with other believers in close-knit community. If not, any work to help the poor is simply the work of the flesh. Though outwardly “good,” it has no eternal value. The flesh can be quite religious, by the way. Jesus Christ lives in us, and He’s the same yesterday, today and forever. As believers, we have been called to live by Christ just as He lived by His Father (John 6:57). It’s my opinion and observation that few Christians today know how to do that. It’s unchartered territory for most of us. Instead, many of God’s people live by moral standards. The result: They are doing some work for God instead of God doing it through them. Jesus Christ is not a social philosopher or social activist whom we try to imitate using our own willpower. He’s the world’s true Lord, our very life, and He lives in us. To me, understanding and walking in this is a great need today. The truth is that we hardly ever hear about living by an indwelling Lord from those who rightly emphasize helping the poor. Without this element, such work becomes nothing more than good-willed humanitarianism, and there’s nothing authentically Christian about it. What advice do you have for leaders of ministries and laypeople who are seeking to make more of a difference in the world with their faith, especially in regard to social justice issues? To make knowing the Lord Jesus Christ in Christian community your chief pursuit. If knowing the Lord with others in your locale is your central pursuit, and you are knowing Him in reality with others—not in an artificial or contrived way—you will begin to touch His heart for the poor and needy. The result is that He will be using you as a body: as His hands, His feet, His arms and His legs. He will be expressing Himself as He wishes. He is the head, and you are being His body in reality, not as a cold doctrine. It will be His work and not your own, and He will get all the glory. Frank Viola is an influential voice in the contemporary organic church movement. For the last 20 years, he has been gathering with organic churches in the United States. Frank is the author of Pagan Christianity (co-authored with George Barna) and the new constructive sequel, Reimagining Church. His website, www.frankviola.com, contains many free resources designed to enrich the spiritual lives of God’s people. Frank and his family live in Gainesville, Fla.